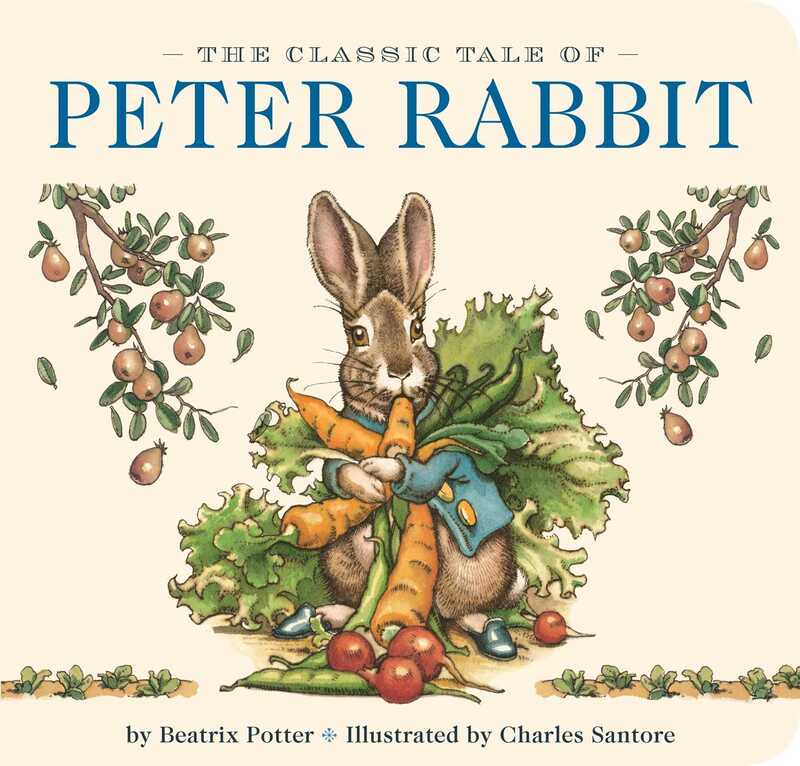 The beloved classic tale of mischievous Peter Rabbit is now available in board book format featuring original illustrations from New York Times bestselling illustrator Charles Santore. From a frightening journey out of Mr. McGregor’s garden to his fir-tree home with Flopsy, Mopsy and Cotton-tail, Peter Rabbit leads the most risky and adventurous life of the bunnies. After losing his shoes and new blue jacket with brass buttons, he narrowly escapes his demise and makes it home sickly, but safely. Incredible illustrations with the finest details capture these classic moments, printed on sturdy board stock that will withstand years and generations of repeated reading and handling. This edition is a must-have for every child’s library. Charles Santore is a renowned illustrator and his many awards include the Society of Illustrators Award of Excellence, the Alumni Award of the Philadelphia College of Art, and the Hamilton King Award. Charles Santore’s illustrations are part of the permanent collections of the Brandywine River Museum, Chadds Ford, PA; The Free Library of Philadelphia; New York City’s Museum of Modern Art; The United States Department of the Interior and many private collections.